Winters in Michigan can get chilly – you need to make sure the furnace in your home is running perfectly. You and your family rely on your furnace to keep you safe and warm, no matter how cold it might get outside. That’s why you need a reliable heating contractor to help. At Boelcke Heating and Air Conditioning, we can help you with all your furnace needs, including installation, repair and maintenance. The skilled technicians at Boelcke will help to ensure that your furnace is operating effectively, efficiently and safely. They’re able to provide expert repair and maintenance services on virtually any make or model of furnace on the market today. And, when you need a new furnace, they’ll provide you with quality equipment sized perfectly for your home and lifestyle, coupled with expert installation services. 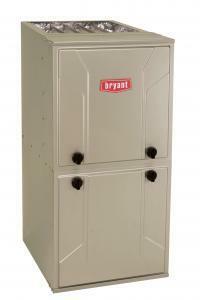 Let Boelcke help you with your furnace needs and more. When you need a furnace from a qualified heating specialist for your home, you can trust Boelcke Heating and Air Conditioning. We can help meet all your home heating needs, large or small. Simply give us a call at (269) 429-9261, and we will be more than happy to assist you.